High-quality early childhood development programs can reduce chronic disease and health care costs. Benefits include lower drug use and blood pressure in males, as well as better education outcomes and higher incomes as adults. 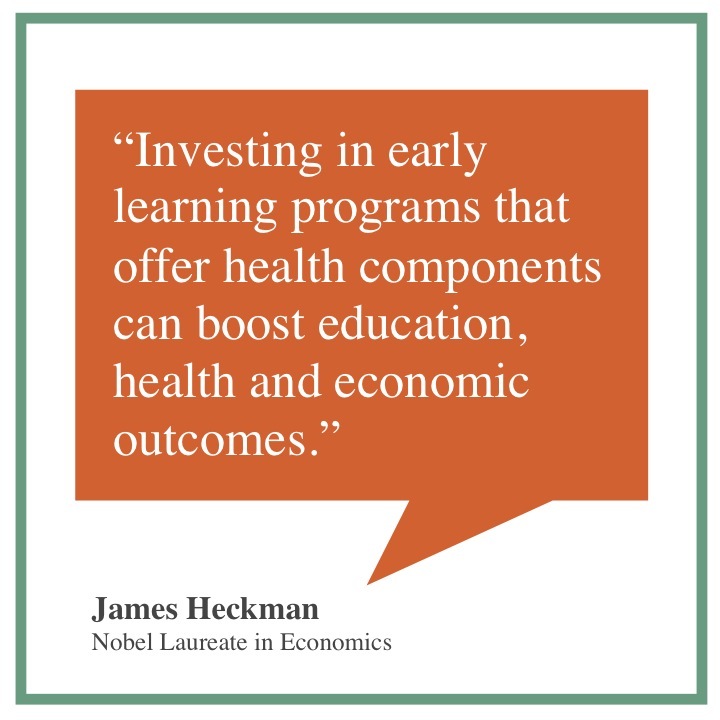 This toolkit contains resources that explain Professor Heckman’s recent analysis of the North Carolina Abecedarian preschool program for its long-term health benefits. You may also download individual resources below. Academic paper. The Effects of Early Intervention on Human Development and Social Outcomes: Provisional Evidence from ABC and Care, published in Pediatrics in April 2013, details the experiment and results. Executive summary. A one-page summary of the North Carolina Abecedarian preschool program analysis that tracks education, employment and health outcomes to age 35. Advocate slide presentation. 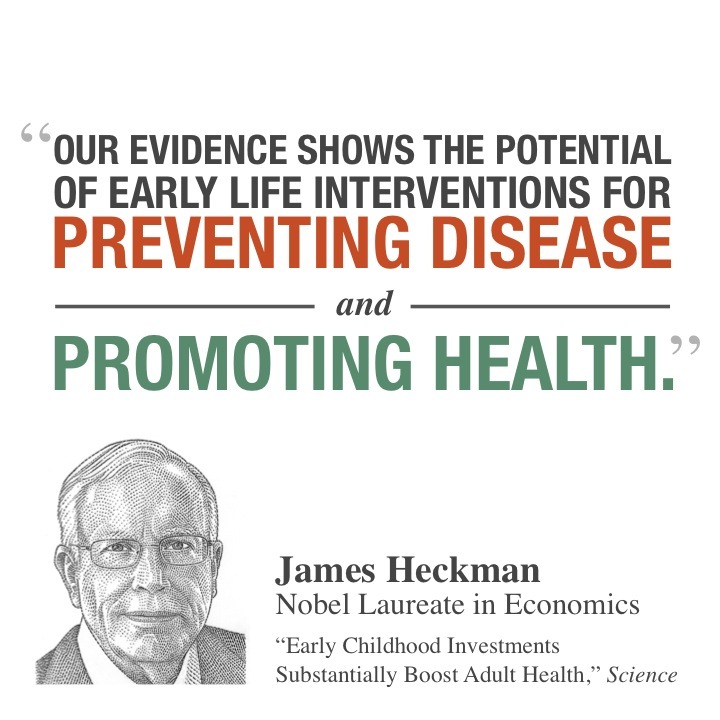 This presentation explains the research from economist James Heckman and colleagues showing that quality early childhood programs that incorporate health and nutrition help prevent chronic disease. Use this presentation with other advocates, practitioners, and policymakers to help make the case for investments. Video. This video illustrates the importance of integrating health and healthy behaviors in quality early learning experiences. Video. 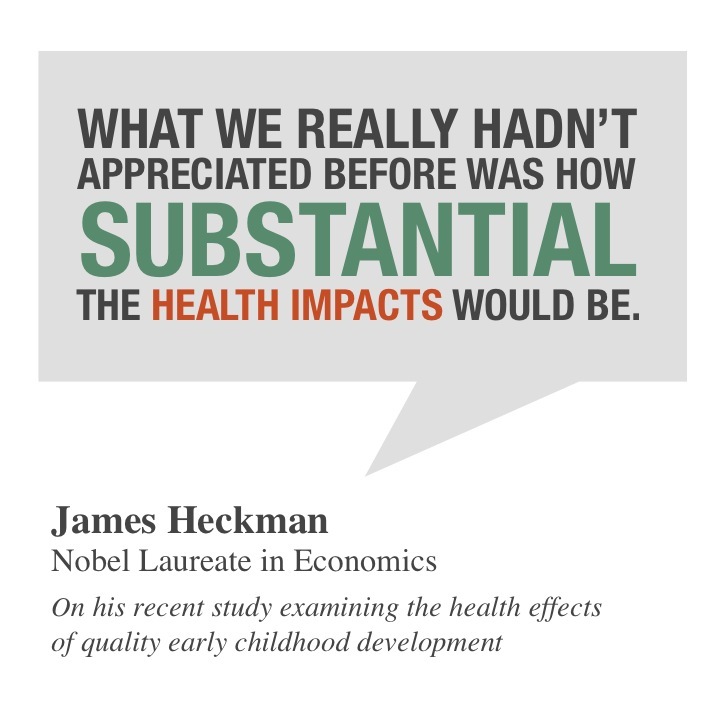 A live-action video of Professor Heckman explaining the Abecedarian project and the health impacts that were found from the research. The Health Effects of Two Influential Early Childhood Interventions. The academic paper focuses on examining the comparative impact of two different experiments—the Perry Preschool Project and the Abecedarian Project—on long-term health. Statement. “Four Big Benefits of Investing in Early Childhood Development,” a statement released by Professor Heckman, summarizes the benefits of investing in quality early childhood education for disadvantaged children. This document is often shared with policymakers and the media to make the case for early childhood education.